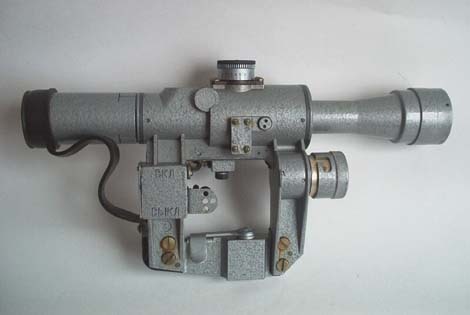 During the Soviet era optics manufacturing took place in a variety of factories around the Soviet Union. 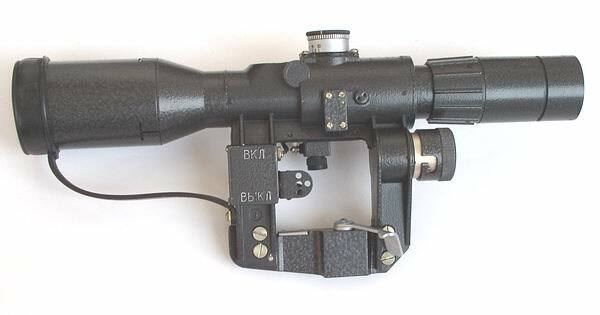 One factory was Zenit-Belomo which made rifle scopes as well as telescopes and camera lenses. 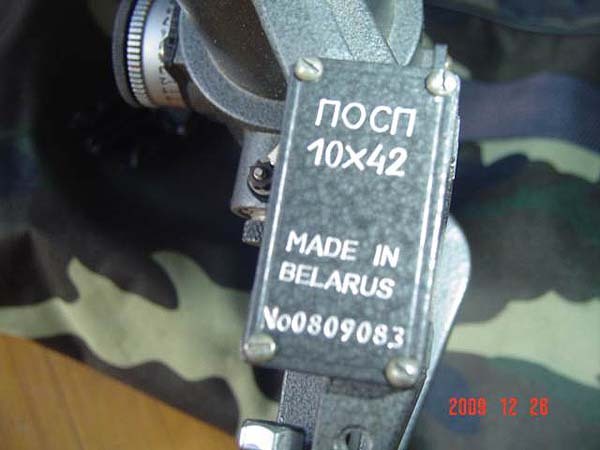 After the break up of the USSR Belomo continued to manufacture and market rifle scopes in its factory in Belarus, a country no longer ruled by Russia. Because of this separation Belomo is able to build and export scopes in "military configuration", something that is forbidden in Russia. 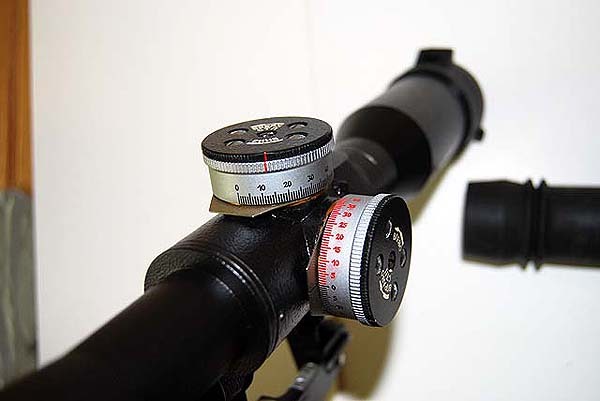 This configuration usually consists of a reticle that has a range finder calibrated to the height of a human instead of an animal, and at one time even the color of the scope was restriced for military (silver) or commercial (black) use. 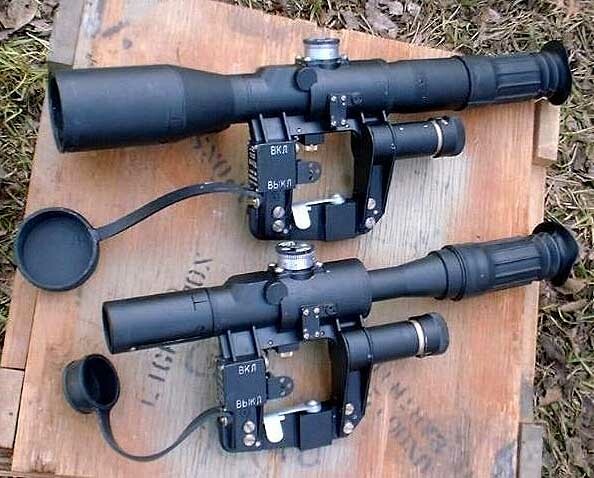 Some people in Russia claim the quality of Belomo scopes are not as high as Russian equivalents because they are not put through the same rigorous quality control testing as optics from NPZ. Specifically the assurance of turret adjustment calibration and overall durability are in question with the claim of "you might get a good one...or not, it's a gamble" coming from detractors. Fortunately Belomo offers a 12 month warranty to cover any potential quality problems. Belomo's version of the PSO-1 is called the POSP4x24. 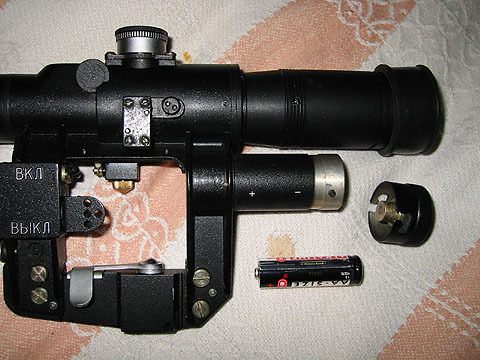 This POSP 8x42 scope has a diopter focus feature. The magnification is 8 power, meaning what you can see at 100 yards with the naked eye will look the same at 800 yards through the scope. 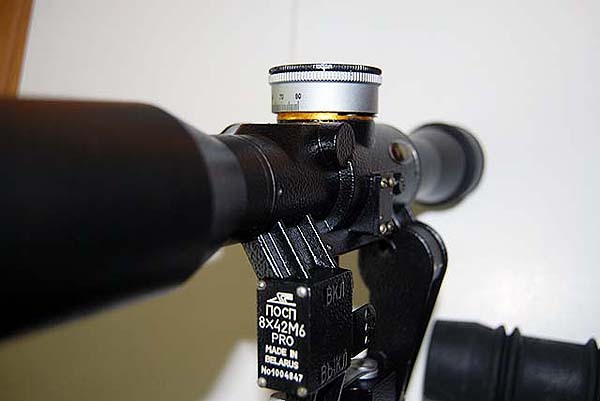 The 42mm objective bell allows significantly more light into the scope over the standard 24mm objective in the PSO-1 scope, which allows it to be used in darker light conditions. 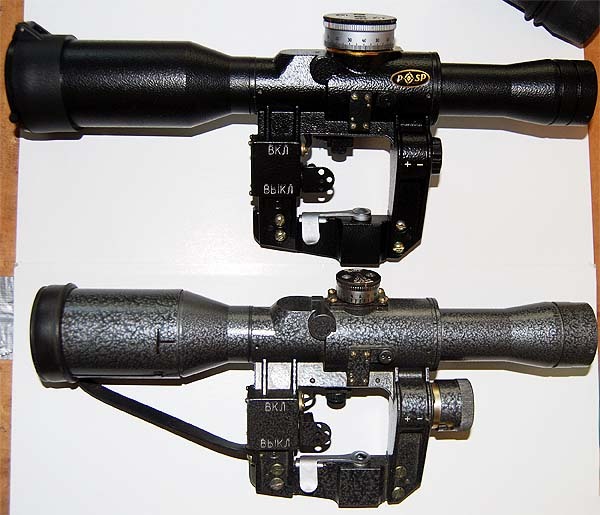 The 8x42 scope is much larger than the standard 4x24 PSO-1 which is about 3 inches shorter in length. All the markings are in Russian, as well as the instruction manual. The 8x42 ranging elevation turret is not a bullet drop compensator like it is on the 4x24. Instead it has equally spaced click intervals from 0 up to 20. At various times different battery housing styles have been offered. These are the older AA battery style which is no longer produced. Old style AA housing used the same end cap as the original button battery housing. 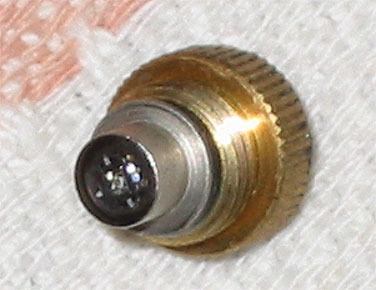 Russian 1.5 volt LED which screws into the bottom of the scope body. Though it glows bright red to light the reticle other colors are available.. 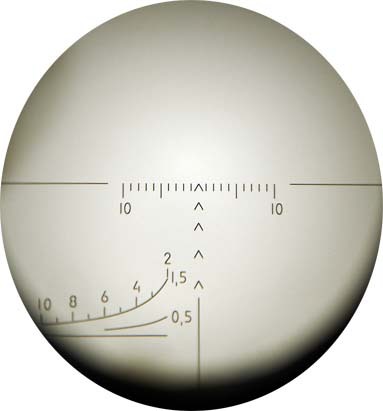 The reticle is much larger in the 8x42 scope (compared to the 4x PSO-1) to compensate for the higher magnification. Turning the adjustment knobs makes the reticle move instead of the image so if your rifle's scope mount rail is not perfectly aligned, you'll likely have an off-centered reticle. This reticle differs from the military version in that it is calibrated for two targets. One range scale is set for a target 1.5 meters tall (about the size of an elk) and can be used out to 1000 yards. The smaller scale is set for a 0.5 meter tall target (about the size of a small deer) and can be used out to 600 yards. Belomo has started to offer a variation of the POSP 8x42 called the M6 "Pro" series. This version has wide turrets with more precise clicks. It also has a mildot reticle as an option. Lenses are very bright on these and there is no yellow tint at all which improves how colors are seen through the scope. The battery housing is much smaller on this latest version. Ranging turret is not a BDC so it can be used with a wide variety of calibers and bullet weights. The objective bell no longer has a sunshade that slides out. Belomo now uses a simpler screw-on sun shade and plastic flip up scope cap. There is a 10 power POSP that is much harder to find. So far this is the highest magnification for a fixed power POSP scope available.